← A Time to Stitch 7 Embroidery Challenge – Reveal! Firstly, I must apologize from being absent from my blog for so long. 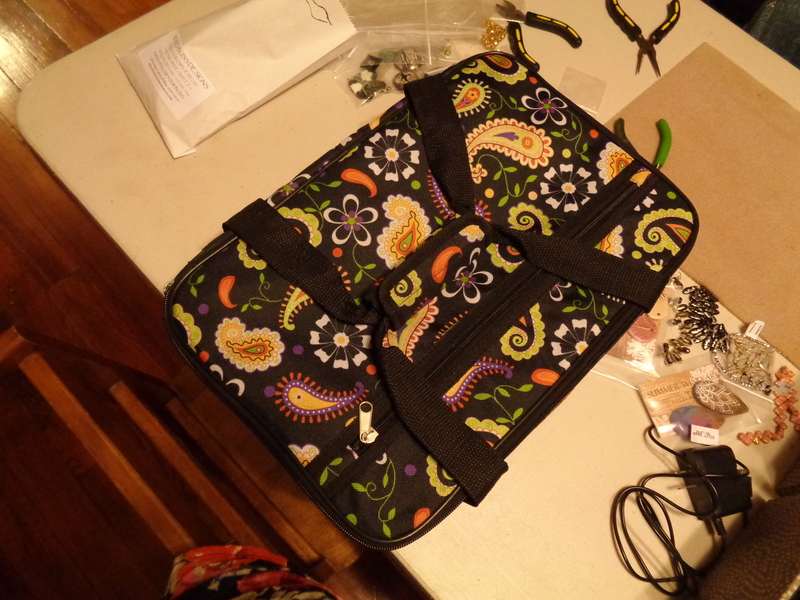 July has been an absolute whirlwind of craziness in my personal life and I have been stuck in the creative doldrums as far as my beading work goes. I’ve been working on some custom pieces that haven’t required much imagination and the other project is not quite ready to be blogged about. 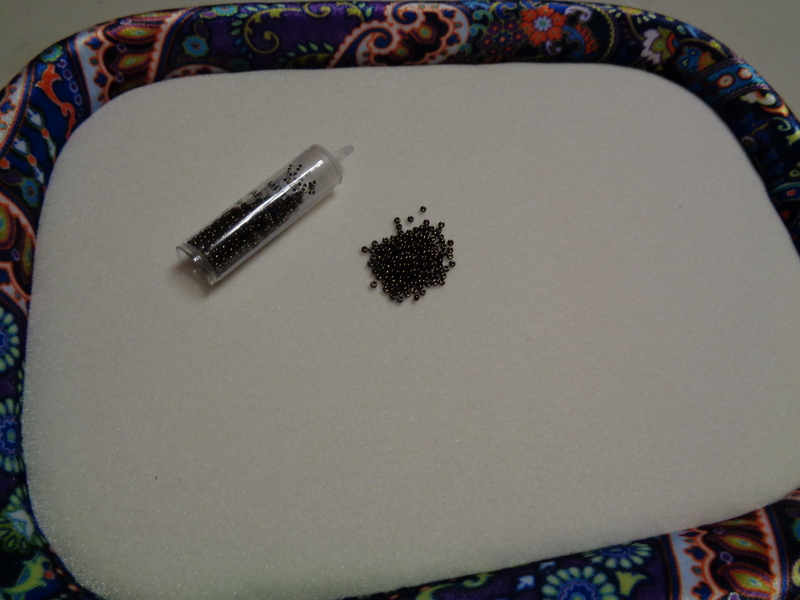 So, it’s hard to blog about your beading when you don’t have much to share. One of things that kept me so busy in July, however, was my birthday on the 4th (yes, I’m a July 4th baby. Go ahead and make your firecracker jokes now). I celebrated with my friends at my local bead store (Beaded Bliss) and they surprised me with a fantastic birthday gift. So, I had heard about these things from my bead ladies and a few of them had even become a wee bit addicted to stock piling them (yes, I am talking about you, J). I had admired them, petted the soft material, and oohed and aahed over the sturdy design and soft edges. I did not, however, ever think that I would actually buy one. I told myself that as long as never used one and spoiled myself, I would still be happy with the bead mats that I had always used. I mean, Bead On It Boards are expensive. However, I have pretty much just fallen in love with this thing. Mine is a smaller size, which I like since I often use while sitting cross-legged on the couch. It’s the perfect size for working on a single project. It’s heavy, durable, and so very, VERY soft. Plus! 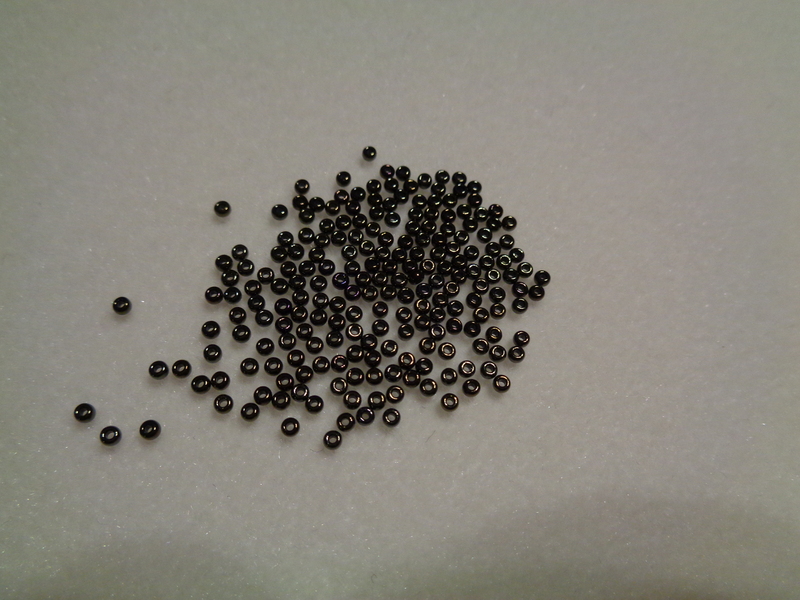 When you pour your beads onto the mat and then tap the sides, the beads DO turn hole up. I was skeptical, but it is true! My ladies also got me a casserole dish carrier, which allows me to carry the board upright. 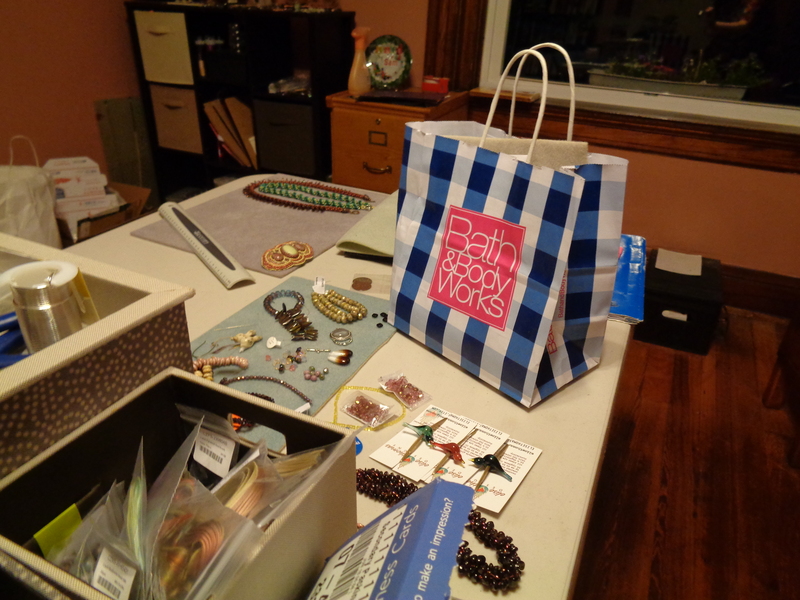 It is a drastic improvement over my last set up, which involved a Bath and Body Works bag. All in all, I am super grateful to my ladies for getting these lovely presents for me. I love my Bead On It Board and highly recommend them. Check and see if your local bead store can get them in and if not, you can look into them here. They are expensive, but it’s a nice luxury to have. 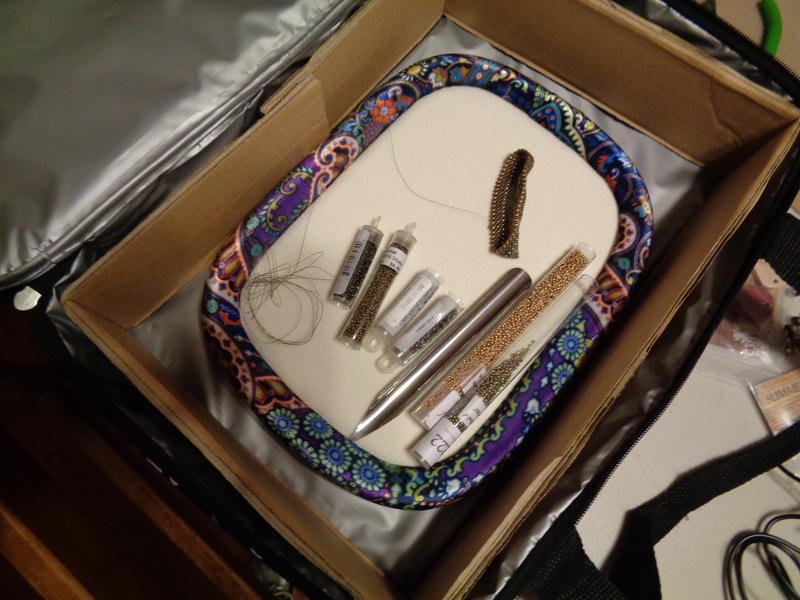 There are no corners to catch your thread and the materials are really nice. I am thrilled! Thanks again, ladies! And for all my lovely blog readers out there, I promise to begin blogging with regularity again soon. Life has been a bit of a kick in the pants lately, but I’m about ready to start kicking back. 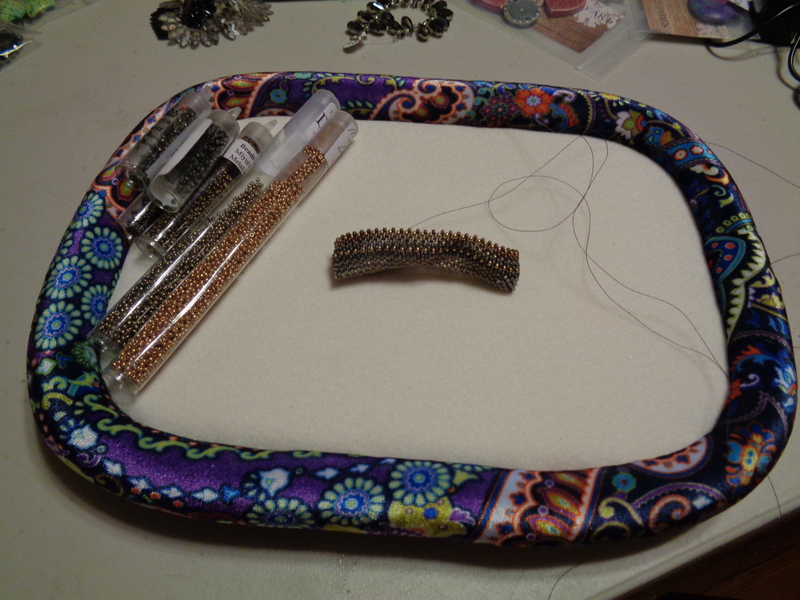 See you soon with some new beading news! 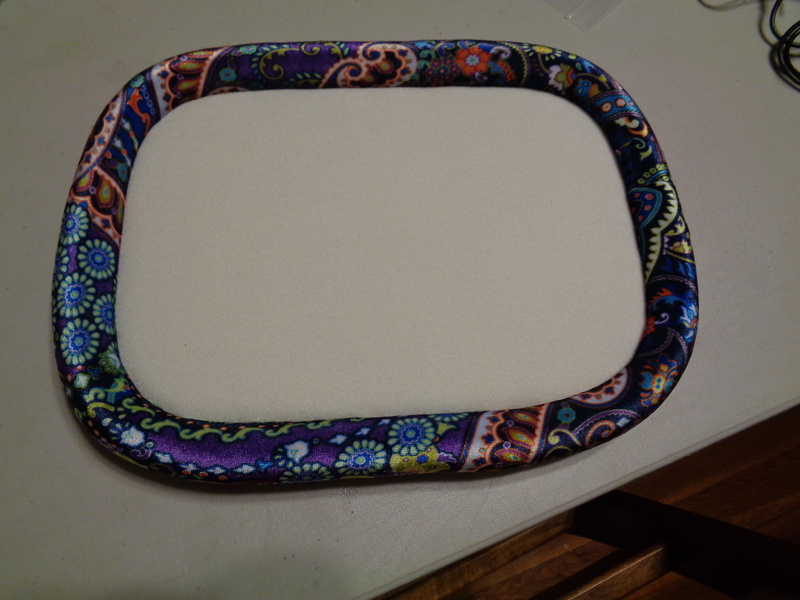 This entry was posted in Bead and Product Chatter, Storytime and tagged arts and crafts, bead board, bead mat, bead on it board, bead supplies, beading, beading blog, beadweaving, beadwork, craft blog, craft supplies. Bookmark the permalink.